Autumn Budget 2017 – How will it affect motorists? Wednesday 22nd November saw Chancellor of the Exchequer announce his Autumn budget speech to the House of Commons. The Budget is the Government’s yearly announcement about how it will use nation’s money to fund services such as schools, the NHS, policing, housing and more. Taxpayers provide money for the Government, which then translates into the budget’s funding. Motoring taxes such as VAT, charged at the current rate of 20%, Vehicle Excise Duty (road tax), and fuel duty are some of the types of funding coming from vehicle owners that the budget utilises. Trust My Garage believes that keeping you in the loop as a vehicle owner is of vital importance, so we’ve created a breakdown on how the changes announced in the budget could affect the UK’s motorists and the future of driving. After much speculation, fuel duty has remained frozen for another year – meaning drivers of diesel vehicles will not be subject to increased costs for their fuel. However, vehicle excise duty for diesel cars that do not meet the latest emission standards will rise by one band in April 2018 to crack down on the increasing levels of air pollution – so you could be paying anything from £15 to £500 more a year depending on how polluting your diesel vehicle is. As well as this, existing diesel supplements in company car tax will rise by 1%. The Chancellor also reassured “white van men, and women” that company taxes on diesel vehicles will not hit them – The changes to company car tax for diesel vehicles are designed for cars only. As a benefit to motorists, Mr Hammond unveiled extra funding and tax incentives for electric car drivers in order to initiate further take up of electric vehicles (EVs). An extra £100 million is set to go towards helping people buy battery electric cars. The Government has also pledged to make sure all new homes are built with the right cables for electric car charge points. In addition to the extra investments, electric cars charged at work will not incur benefit in kind, meaning they aren’t subject to taxation as fossil fuel-run vehicles are. This should encourage businesses to install charging points on their premises for employees – making it easier to charge your car at a convenient time. The Government is also investing more funding into a cohesive electric vehicle charging infrastructure, once again ensuring you can stay charged up and ready to go no matter where you are if you choose to run an EV. Thinking even further ahead, the Government has pledged to devote funding to driverless cars, considering them as the ‘next step’ after electric vehicles. The Chancellor announced that the UK will set out rules so that self-driving cars can be tested without a safety operator. Overall, the latest budget has been of mixed quality for motorists. Fuel duty prices have unexpectedly been frozen again to save you money, and the investment into electric vehicles will make it easier than ever to make the switch to a greener car and reduce air pollution for the next generation. However, the rise in costs for diesel vehicles is still set to affect many thousands of drivers across the UK. No matter what the budget – be it yours or the UK’s – Trust My Garage and the Car Repair Plan are here to help you ensure your car is running at its best! If you’re looking for any kind of service or repair, you can use our handy Find a Garage map to locate your nearest Chartered Trading Standards Institute (CTSI) code of conduct approved member. For more information about Trust My Garage you can also visit our website at www.TrustMyGarage.co.uk. Got any thoughts or comments about how the Autumn budget could affect you? Tell us in the comments below! As Small Business Saturday arrives in the UK for the first time, the importance of consumers supporting independent businesses in the UK is rightly being stressed. Ask most shoppers what they consider a small independent business to be and they’ll likely say a retail outlet such as a local hairdresser or a convenience store. We’re urging you to consider the fact that independent garages are small businesses themselves, and should be supported on Small Business Saturday. 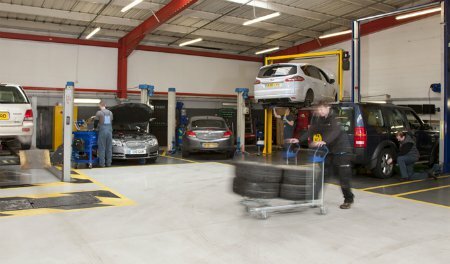 Additionally, as small businesses help each other, we’re asking how many independent businesses have considered using independent garages for their vehicle servicing needs. Small Business Saturday was originally set up in America three years ago in order to help small businesses fight off competition from bigger rivals. It was a huge success, boosting the turnover of small businesses in the US by £3.5 billion. Shadow Business Secretary, Labour MP Chuka Umunna, has brought the event to the UK calendar, and it has since gained widespread support. We’re highlighting the part that independent garage businesses play on Small Business Saturday and beyond. Our member Quality Car Service is a family-run business that’s been based in Milton Keynes for five years. They see themselves as an efficient small to medium enterprise, and run themselves accordingly. They work hard as a small business to retain their skilled staff and regularly review their business processes and HR policy, just like any other independent business. They also regularly review their business plan so that they stay competitive. This is a vital element of running an independent garage, especially in the current climate. To celebrate the role of the small independent garage on Small Business Saturday, here are Quality Car Service’s top five reasons to choose a local independent garage. Small businesses are so crucial to the UK economy – that simply cannot be overstated. 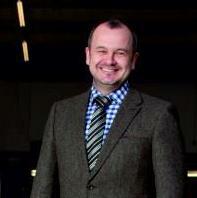 Of the 4.9 million businesses in the UK, 99.2 percent of them were small businesses at the start of 2013. Additionally, research has shown that for every £10 spent in the local community, an extra £25 is reinvested. Perhaps the most telling fact though is that independent businesses are the biggest generators of jobs, which is poignant considering unemployment levels in the UK today. The message is clear – if small businesses fail then the unemployment levels would skyrocket. Help support your local community by spending in it – if you do then your money will likely be recycled back into the local economy. We’re a Trust My Garage member, and in order to be a member you’ve got to prove you work to a high standard. So when you see that we’re affiliated with Trust My Garage, you instantly know we have achieved certain quality goals. Always look out for the Trust My Garage shield logo- if you see it then you know that you’re really going to be able to trust that independent garage. There are many networks available that independent small businesses can join but its those that are based on quality of service that are the most reliable. Often independent small businesses are more cost effective than larger brands. The Independent Garage Association recently polled over 2,000 of its members on their labour rates and results concluded that independent garages ‘continue to offer motorists the very best value for money.’ Figures from the poll show that the average labour cost is slightly over £40 for independent garages, and the most recent Warranty Direct annual Labour Rates survey demonstrates that average labour rates for main dealer garages stands at a national average of £95.94. These averages mean that in some areas the difference between the cheapest independent garage and the most expensive main dealer is quite staggering. Many independent businesses offer just as high a quality service as businesses that are part of a wider chain, if not even higher. The same is true for independent garages. We have access to the same level of technical information and quality parts as main dealers. The training that we give to our staff is no different to the training mechanics at dealerships receive. We constantly keep all of our equipment and diagnostic software up-to-date to ensure that there’s no job we can’t do. If we have to outsource a job then we’ve failed and lost business, so we strive to be able to handle any request. For each job we undertake we ensure that each member of staff is fed the necessary information so that if it’s particularly taxing we’re then able to learn from it. Independent businesses, like ourselves, rely heavily on customer retention, and the only way we can ensure we keep getting customers back through our doors is by offering them great service – that means keeping them updated at all times, giving them information they know they can trust, and making them feel as comfortable as possible. We pride ourselves on our friendly approach and the rapport we create with our customers. Often businesses that are part of wider brands don’t have to put this emphasis on a personal service because they know they will receive business based on the reputation of the brand or chain they belong to. Because we are independent, we can provide customer service the way we want to – the way we would want to be treated as customers ourselves – and this ensures a personal and efficient service every time. To find your local independent garage business on Small Business Saturday, visit the Trust My Garage website and insert your postcode into our garage finder.